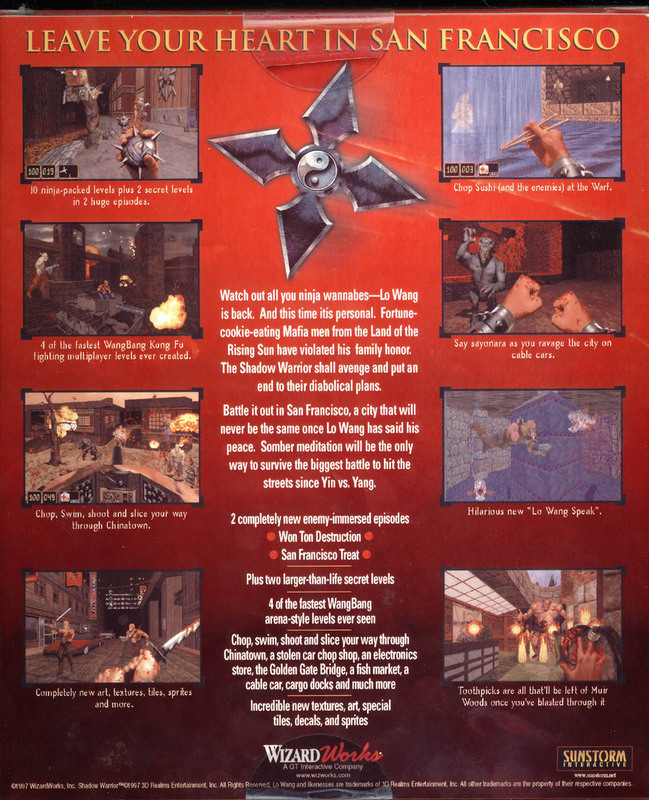 Although there has been many user-made add-ons and total conversions this is the only semi official expansion newly available for Shadow Warrior. The story is fairly interesting. Wanton Destruction was completed by a company called Sunstorm, but it was put on hold from the distributor. It sat there for years until Sunstorm finally went out of business. Recently (September 2005) 3D Realms got a email from the former president of Sunstorm, Anthony Campiti. He explained that he found a old cd-rom that contained the full version of the completed add-on/expansion. 3D Realms got a copy of the cd and now offer it to the public for free. It really is a weird and great story. To download and see all the information, view the 3D Realms news post about it. 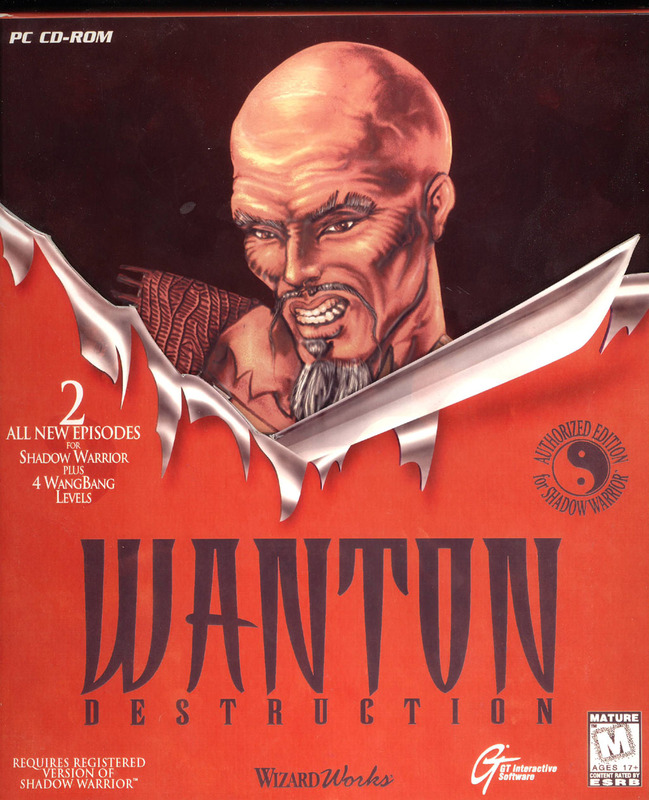 Unfortunately to my knowledge (and experience) JonoF's port is not compatible with Wanton Destruction.